Lightwork Business - All the details of our limited company formation, self-serve legal documents, company address, compliance and other products and services. Select one of our great packages and apply to set up your new business up in minutes. If you have any questions or would prefer to complete your order over the phone please call one of your friendly Lightwork team on 0345 459 4444. This is by far the most popular type of company in the UK, making up 95% of all companies registered. What will I need? How long will it take? Don't worry too much though. We'll guide you throughout the simple step-by-step process and are on hand to answer all your questions. Limited company applications take just minutes to complete with us. Your online application is sent straight to Companies House and on average it takes 3 hours for your company to be registered by them. If you're in a hurry though and need to make sure your company is formed today simply submit your company application by 2pm Monday to Friday and select our fast track option. And subject to any anti-money laundering (AML) checks we need to carry out your company will be up and running that same day! SELECT the perfect package for you. If you simply want to secure a company name or establish a dormant company our basic package may be sufficient. This package is principally targeted to accountants and solicitors who can supply the other 'compliance' elements of a new company themselves. Everything you need for a new company. We will register your new company electronically and provide a full electronic company package on completion. This includes statutory registers - which every company in the UK is required to keep up to date - First Board Meeting minutes and share certificates ALL automatically completed with first entries. Every company must comply with the Companies Act and submit compliance statements within specified time limits. 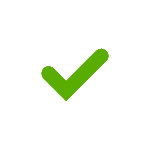 So choose our compliance package and let us provide you with peace of mind by preparing and submitting your company's confirmation statement, ensuring it filed accurately and on time. This package includes the £13 Companies House confirmation statement fee and can be renewed annually. When you have two or more people involved in a business, the best practice message is, and always has been, clear and simple. This package therefore includes a shareholders agreement created by legal experts and fully customisable to your company! Designed to save you time and money we'll auto-populate your company and shareholder details so information only needs to be entered once! First impressions matter, and with this package you can give your business a prestigious base in the heart of Marylebone while at the same time keeping your own address private and off the public register. Ideal for start-ups, or those requiring a UK based trading address, this 1 year package includes your company's registered office address, a service for ALL company directors, in addition to a trading address for ALL your business mail. This service, provided by our Virtual Office Solutions specialist partner Message Mail, is renewable after 12 months at £22.50 + VAT per month plus mail forwarding charges of £1.50 per bundle of 10 items + postage. Our easy step-by-step guided process completes all the required legal documents for you and sends your online application directly to Companies House. Your new company could then be trading in as little as 3 hours - subject to Companies House workloads and opening hours. A limited company by shares is the easiest type of company to form and can be started with a small initial investment of as little as £1. Importantly also it keeps your company personal finances separate and provides its owners with limited liability. Companies House charge a £10 filing fee for company incorporation. This fee is included in the package price. We're committed to clear and fixed pricing meaning great value and no hidden costs. see all of your company details in one easy to use dashboard. view and download your company documents easily. Receive e-mail reminders of key compliance dates to avoid missing deadlines and incurring penalties. Form new companies without having to re-enter all the same information every time. Import existing companies and control all of your businesses in one easy to use place. Our company formation experts will support you and your business before, during and after your company is formed. We're here to make 'lightwork' of business and your life easier! FREE 'Doing business in the UK' toolkit. 'Doing business in the UK' guide covering all the basis aspects of running a limited company in the UK and including basic legal requirements, tax and financial duties, useful contacts and much more. £75 Google Adwords voucher when you spend £25. Certifies the existence of your limited company and considered the equivalent of a birth certificate for it. This certificiate is often required by banks, insurance companies or providers of finance when for example opening a bank account or applying for a loan. Often referred to as the 'articles', a company's articles of association are effectively it's internal rule book that shareholders and the company's officers (i.e. Directors and Secretary) must agree to. The rules ensure the company's smooth running and include for example those around how decisions that affect the company need to be made and the role of the shareholders in making those decisions. All limited companies need a business bank account to trade effectively. Add a Business Bank Account from our banking partners METRO to one of our packages and join the banking revolution with the Entrepreneur's bank. We'll help to prepare your application and forward it directly to our banking partners, as part of your order. Metro Bank will then be in touch within 48 hours to arrange a meeting and to finalise the process for opening of your company's bank account. We provide you with digital versions of all the statutory registers you need to keep and maintain, together with First Board Meeting minutes and share certificates, with first entries automatically made for you. Every company must comply with the Companies Act and submit a confirmation statement - previously called the Annual Return - with their latest details at least once each year to Companies House. We are experts in guiding companies through the legal maze and will provide you with peace of mind by preparing and submitting your company's confirmation statement to Companies House before the due date. Companies House charge a £13 filing fee for confirmation statements. This fee is included in the package price as part of our commitment to clear and fixed pricing meaning great value and no hidden costs. Please note this service is renewable every 12 months. New limited companies often involve friends who more often than not opt for a verbal agreement and handshake about how the business will be run. While such agreements can be legally binding, they are inherently ambiguous as memories fade and the rapid pace of events overtakes clear thinking. The best practice message therefore is, and has always been, clear and simple – get it in writing! We've therefore created with legal experts built a totally unique shareholders agreement questionnaire designed for founders to deliver a fully customised shareholders agreement for your company! And to save you prescious time we'll auto-populate all your company formation details into the shareholders agreement so you don't have to enter it all again. Please note it can NOT be used by Shareholders who are companies not individuals. Use our address at 78 York Street, London, W1H 1DP in the heart of London's Marylebone within the City of Westminster and give your business a prestigious base and image while at the same time keeping your own address private and off the public register. your company's trading address for all day to day correspondence. We'll forward ALL business mail and block junk mail. This service is provided by our virtual office specialist partner Message Mail and is renewable after 12 months at £22.50 + VAT per month. Please note the costs of forwarding are not included. Mail forwarding is charged at £1.50 per bundle of 10 items plus postage. Companies House fees are included in ALL pricing. We're committed to clear and fixed pricing meaning great value and no hidden costs. Considered the best option for non-profit organisations and ventures like charities, clubs, unions and other enterprises choosing a private limited company by guarantee will enable you to limit a guarantor's liability to a pre-agreed amount. We can set these types of company up for you and will provide you with a certificate of incorporation and memorandum and articles of association. A Limited Liability Partnership (LLP) is the ideal choice if you're looking for the protection of limited liability together with the flexibility of operating as a partnership. Order now and we'll set your LLP up for you. Please note that this service does not include an LLP Agreement. Property Management Companies are used to manage all or part of a building or site on behalf of its owners. This type of company is a popular choice for residential flats but can also be used for commercial or industrial purposes. Simply fill out the form below and we'll be in touch to gather the details we need to process your formation.